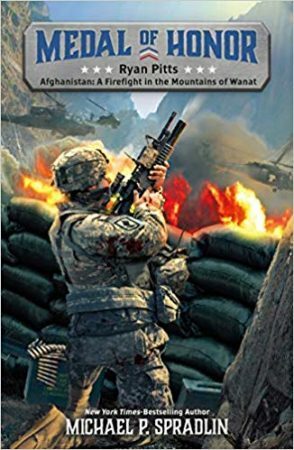 Staff Sergeant Ryan M. Pitts enlisted in the Army when he was seventeen, and was just twenty-two years old when he fought at the Battle of Wanat in Afghanistan, where his heroic actions earned him the Medal of Honor. On July 13, 2008, Staff Sergeant Pitts was trapped and badly wounded at an elevated outpost, but helped turn back a brutal attack by 200 insurgents and save many of his company in one of the bloodiest battles of the war in Afghanistan. Colonel Leo Thorsness had only a handful of missions to complete before he would be sent home from Vietnam. But April 19, 1967, when a plane in his squadron suffered mechanical failure, Thorsness and his Electronic Warfare Officer Captain Harold Johnson took to the skies above Hanoi. It was a fateful day, as they were shot down and spent the next six years in brutal captivity at the notorious Hanoi Hilton. 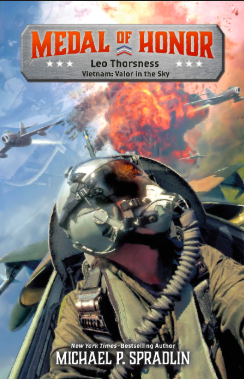 Read his incredible story in MEDAL OF HONOR: Valor in the Skies of Vietnam. 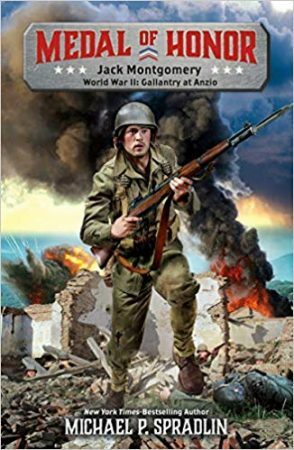 The next book in the MEDAL OF HONOR series is on sale July 19, 2019.